What else can you use an online ordering tool for? So, you’ve got a website set up for your restaurant, and you’ve gone one step farther now and developed a mobile app. If you’ve done those, then there’s a good chance you’ve started to see some growth as people start to use those outlets for ordering. However, you might be wondering if there are other things you can do with your online tools. The good news is that the answer to that question is yes. While your online platforms are great for getting customers to place orders, it doesn’t have to stop there. In fact, there are many things you can use your online ordering tools for, besides ordering. Loyalty programs are nothing new. They’ve been around much longer than the digital market has. That being said, there’s no reason why you can’t integrate a rewards program into your app or website. Some places track sales, and reward customers based on the number of sales. Some restaurants have customers use their phone to scan receipts, earning points based on dollar amounts or specific items being sold. However you do it, rewarding your customers for placing their orders will always be appreciated, and result in more sales. One of the great things about apps is that you can send messages to your customers pretty regularly; instead of waiting on them to come to you, a friendly nudge in the form of a push notification can often lead to a sale. Sending notification to announce menu items on sale, or special upcoming events, is a great way to keep your restaurant in your customers’ thoughts, even when they’re not directly thinking about your establishment. If they have your app, chances are they like your food. Who better to review your restaurant, than a devoted customer? Using those notifications mentioned above, send your customers a request to review your place on a respected site like Yelp. You can even set it up so that it includes the link, making it even easier. Of course, it’s also a good idea to give the customer the option to turn features like this off, so they don’t go ahead and leave a bad review while annoyed with all the notifications! 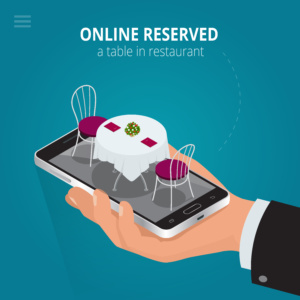 If your restaurant takes reservations on a regular basis, or when special events roll around, use the app to help. With just a simple few clicks, customers can see available tables at available times, and reserve them then and there. This sort of feature really can make a customer feel like a VIP. Turning your menu from a bland PDF into an interactive feature full of mouth-watering pictures of your best dishes is sure to get people ordering. But why stop there? For your signature dishes, why not include a link that takes the customer to videos about that dish? You can show the chef preparing the dish, a video of it ready to be served, looking amazing, or a video of people talking about the dish and why they loved it so much. By making your menu a multimedia spectacle, you’re sure to entice customers with everything your restaurant has to offer. Now, if only there were some way to include smell into an app! This may sound a bit old-school, but including some good basic contact information on your app is always a good idea. This includes a link to directions, and a quick button that makes it easy to call. No matter how much information you put on the app, there’s always someone who needs more, isn’t sure about something, or just prefers to make the order over the phone. Why not make it easy for them? In addition to reviews, asking your customers to share their experiences via social media is a great way to advertise. You can create a hashtag for certain dishes and ask them to tweet a picture with that hashtag. 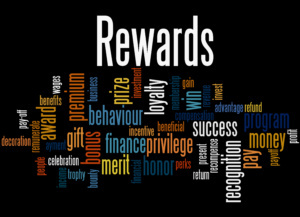 You can include social media into your rewards program, and give them points for different kinds of posts. However you do it, getting people to talk about your restaurant and your food online and on social media is just about the most powerful type of word-of-mouth advertising in today’s digital age, so don’t be afraid to try new things! As you can see, using the app to order food is just the beginning. By being a little creative, you can turn your app into something so much more powerful. If this sound like something you would like to know more about, please don’t hesitate to contact us. We have the experience and design know-how to turn your online platforms into tools that work hard for you and your restaurant!